Why Did the United States Take Part in the Classical Gold Standard? The classical gold standard was an unofficial monetary regime that began in England in the early eighteenth century whereby the paper currencies of participating nations were fully backed by and could be exchanged for their weight in gold. Membership in the classical gold standard spread from England to include most of the industrialized nations of the world, including the United States, by the late nineteenth century. But the United States’ entry into the classical gold standard was not a foregone conclusion. Members of the populist “greenback” movement and silver interests were vehemently opposed to the gold standard and exerted considerable political power, especially in the Democrat Party, from the mid to late nineteenth century. In the end, the fact that the United States was quickly becoming a world power, combined with powerful pro-gold economic and political interests, ensured that the United States not only joined the classical gold standard, but codified its membership with the Gold Standard Act of 1900. 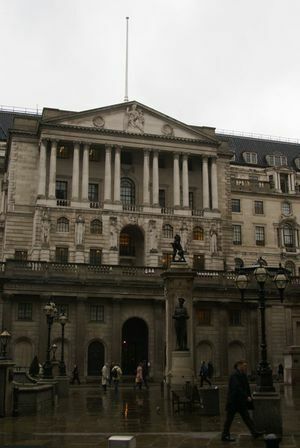 The monetary regime known as the classical gold standard began in England in 1717, which was the heart of the early modern economic world. Although the concept may have seemed revolutionary at the time and was no doubt influenced by some early Enlightenment ideas, it was actually quite simple in its structure and mechanics. All currency in circulation was backed by gold at a fixed exchange rate, which meant that there was only a finite amount of currency allowed in circulation. As simple as the mechanics of it were, membership in the regime was just as straightforward. Since membership in the classical gold standard required a certain amount of fiscal discipline and wealth in physical gold, the number of participating nation-states was never very high. The Netherlands joined England by going to gold in 1818, but it would be over fifty years until other nations decided to go on the gold standard. Germany and Japan both went on gold in 1871, which opened up a torrent of other industrialized nations that were keen to fix their currencies to gold. France and Spain joined in 1876, Austria in 1879, Argentina joined in 1881, and Russia went to gold in 1893. The United States was on the gold standard de facto in 1832, and officially joined in 1900. In order to understand why the United States ultimately chose to go on the gold standard, it is important to briefly examine the economic theories behind the system. The simplicity of the classical gold standard has already been touched on in terms of membership, but the mechanics were also quite elementary. Essentially, the gold standard protected participating nations from inflation and promoted monetary discipline. Unlike today, where central banks are known to print money or lower interest rates to promote economic stimulus, nations on the gold standard always had to have the correct amount of gold on hand that was represented by each bank note as any person possessing paper currency could redeem the notes for gold at a bank. The system allowed for the almost unlimited free movement of capital as well, permitting individuals to export and import gold freely. One might think that such a system would result in excessive hoarding and trade deficits, but that was rarely the case. Although some participating nations did run trade deficits, the lack of gold, therefore money, would keep the deficit nations from descending into economic chaos, or even depression for that matter. For countries that ran deficits, gold would leave the country and the money supply would therefore contract, resulting in lower domestic prices on commodities relative to world prices. The lower prices would then lead to an increase in exports and a decrease in imports, which would eventually alleviate the deficit. Conversely, the process happened in reverse for nations that ran persistent trade surpluses. For the participating nations, inflation was almost unheard of, unemployment was extremely low, and tariffs and other protective barriers were not needed. The United States’ first entry into the classical gold standard was brief, though, as the specter of war forced government leaders to reassess their fiscal policies. Since most modern wars are paid for by debt, the United States government left the gold standard and returned to soft money during the Civil War. Once the war was over, there was an immediate push to go back to the gold standard, but events on the western frontier complicated the matter. The discovery of large silver deposits in the western territories of the United States, such as the Comstock Lode in 1859, proved to be both a boon and a curse to many westerners. The discoveries of the deposits made many men wealthy and helped to develop and populate the intermountain region, but the excess of silver in circulation led the government to take action in what became known as the “Crime of 1873.” Before 1873, the United States Treasury bought silver at the rate of sixteen ounces to one, but on February 12, 1873, Congress ordered the U.S. Mint to stop producing silver dollars. The move unofficially put the United States back on the gold standard and led to populist anger in some quarters, which was exasperated by the economic crises known as the Panic of 1873. The Panic of 1873 devastated the country and again brought the issue of silver versus gold to the forefront of American politics. Farmers once more favored devaluation of the currency because the high price of imported farm equipment cut into their bottom lines, while silver interests brought up new demands to remonetize silver. The somewhat divergent views of soft currency and silver advocates coalesced into an anti-gold populist movement that formed the Greenback Party in order to influence national politics. Although the United States stayed on the gold standard after the Panic of 1873, the Greenback Party made serious political headway during the 1880s, which culminated in the 1896 presidential election. The classical gold standard was the primary economic regime among the world’s industrialized nations for the entire nineteenth century. It helped foster a period of tremendous economic growth in the world, but the United States’ participation in it was the result of a long process. Although there was widespread opposition to using gold as a currency standard, eventually eastern and urban trade interests, who were pro-gold standard, proved to have more influence in the American government. 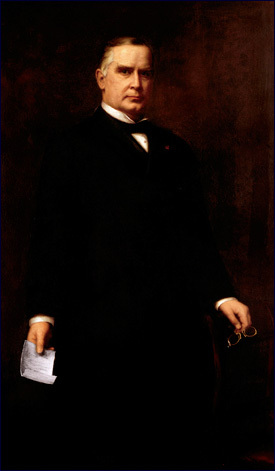 In the 1896 presidential election, the American people elected William McKinley, essentially voting to keep the U.S. on the gold standard, which was codified with the Gold Standard Act of 1900.